Every week I choose one of my favorite photographs of the week from my Fine Art landscape, flower and macro photography collection and offer it throughout that week at a discounted rate. 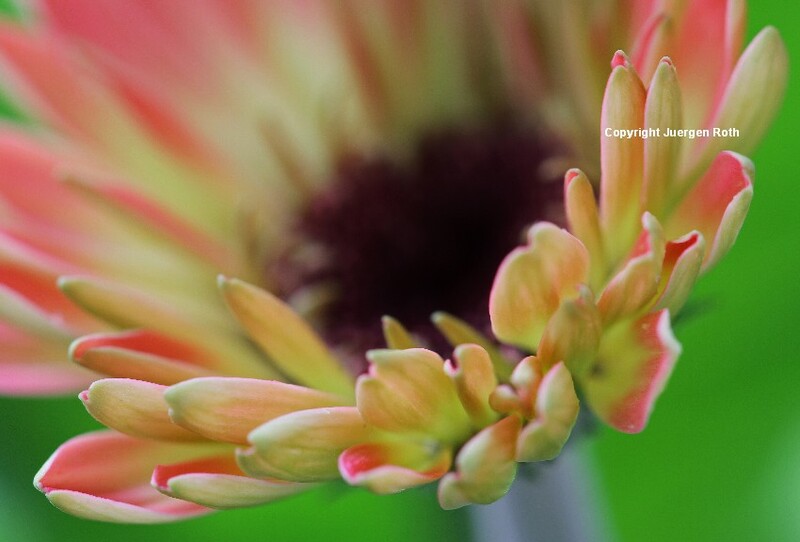 This week's photo of the week on sale is Near and Dear displaying an abstract floral photography image of a blooming Gerber Daisy in peak colors. I choose this floral image because spring has finally arrived here in Boston and it has a very spring like feeling of fun, joy, and happiness to me. Starting today through the week of 26 March 2012 this image from my Abstract Photography Gallery, available as art print, acrylic, or on canvas, is on sale.